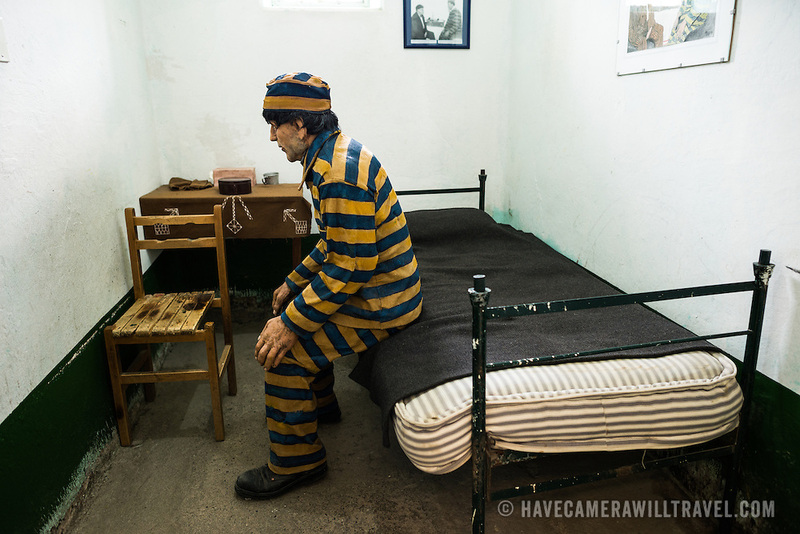 Models depicting prison life on display in cells at the Maritime Museum of Ushuaia. The museum consists of several wings devoted to maritime history, Antarctic exploration, an art gallery, and a policy and penitentiary museum. The complex is housed in an historic prison building and uses the original cells and offices as exhibit spaces.